First Look: Allo Darlin' – "Allo Darlin'"
Allo Darlin’ first caught my attention with “My Heart is a Drummer,” a rare fragrant whiff among the hours of dung that filled the SXSW 2010 bittorrent compilation and a song that made my cull of the set’s best 50 tracks. “Drummer’s” chorus memorably found singer Elizabeth Morris’ Aussie-gone-Brit accent reflecting Steven Malkmus or Britt Daniel’s American spin on British rock enunciation — “my heart is a drum-uh — who, in turn, mirror the Beatles, who themselves looked to early ’60s U.S. soul. 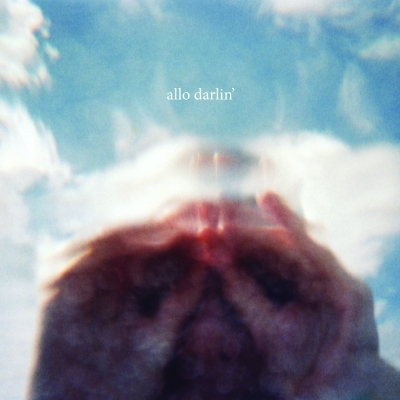 Allo’ Darlin’s roots don’t run quite that deep: The London-based band’s self-titled debut seems intent on proving its influences range beyond Belle & Sebastian, their obvious but, it bears remembering, admirable parents. Allo Darlin”s ballads, yearning, pale stuff, don’t match the bold colors of Stuart Murdoch’s seminal act’s better efforts, but the former group’s more upbeat material offers more vivid strokes. The album’s shimmering opening trio, “Dreaming,” “The Polaroid Song” and “Silver Dollars,” is as close to twee perfection as we’ll likely hear this year, all cotton-soft melodies and clever lines about various states of inebriation and fumbling young love. In “Kiss Your Lips,” the band turns suddenly, disappointingly, garage-y, until Morris and Co. quote Weezer’s “El Scorcho” and, having not yet sufficiently blown minds, blast into a solo. As that ’90s reference hints, the group’s lyrics tend toward the sort of art-school revelations so long ago hip as to be almost naive; and yet, a song like “Woody Allen” (which name-drops Bergman, too — somewhere, Fellini is furrowing his brow) serves as a refreshing reminder that the classics remain ripe for reevaluation. With their heroes in mind, Allo Darlin’ offer summer smiles, sweater-weather sadness and a debut that’s welcome, if not quite demanding to be worn out.